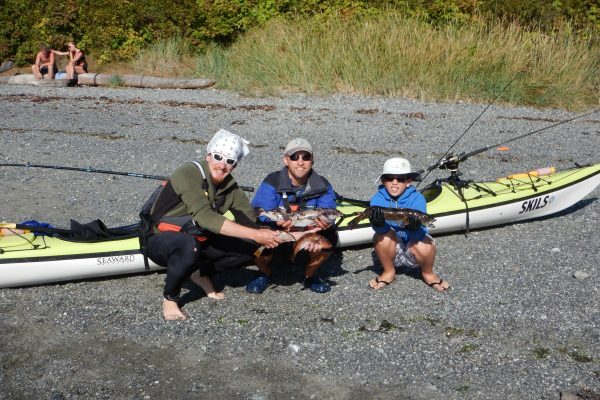 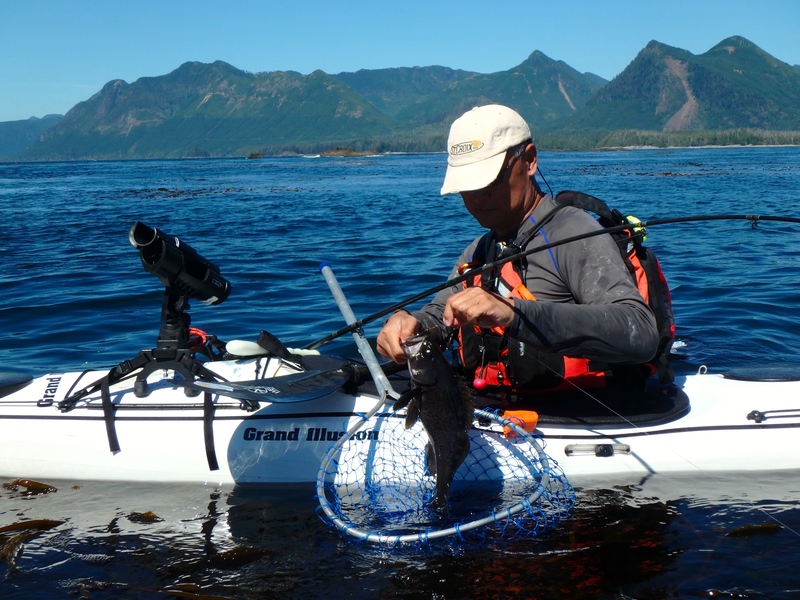 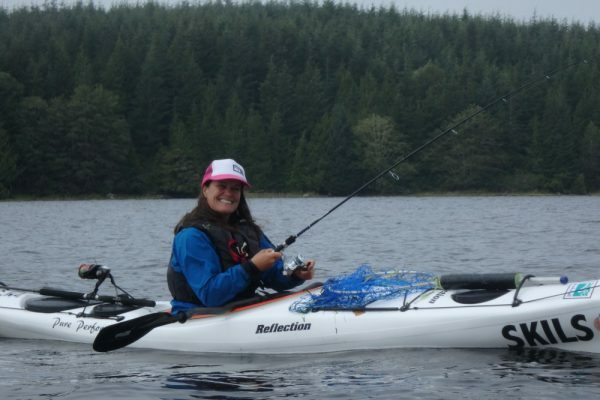 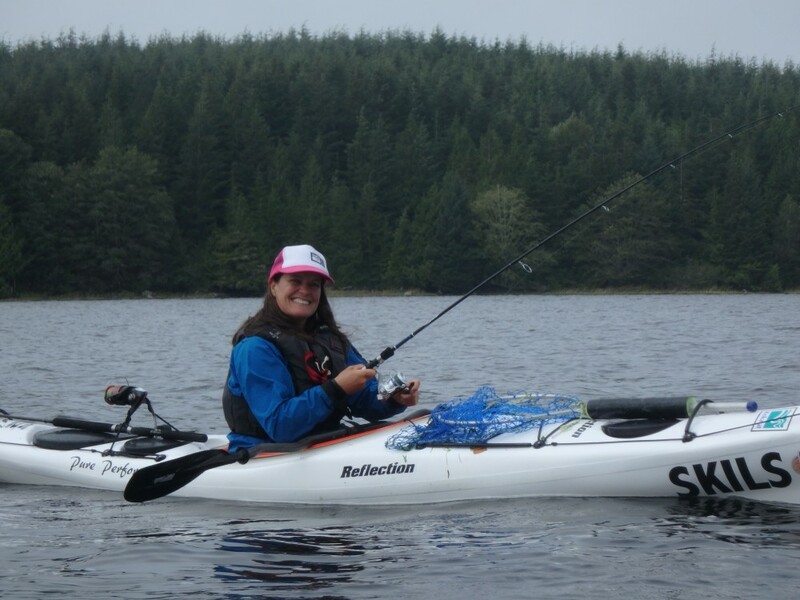 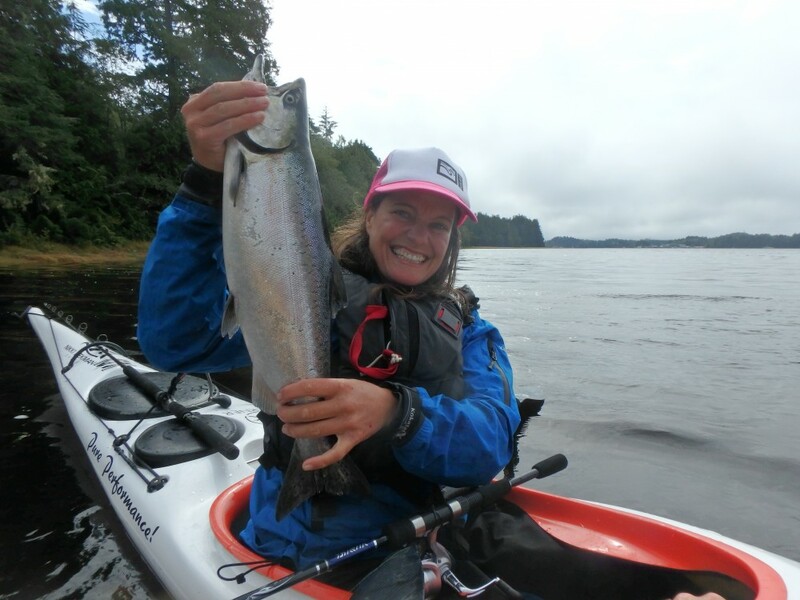 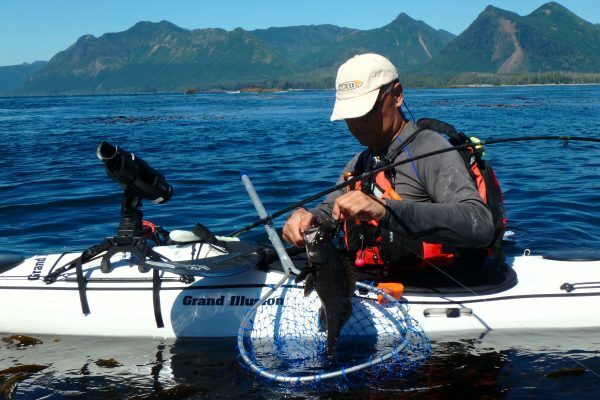 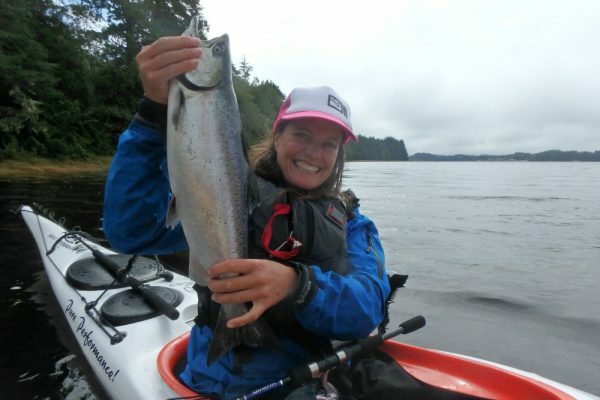 Learn the basic skills needed for kayak fishing in protected waters. 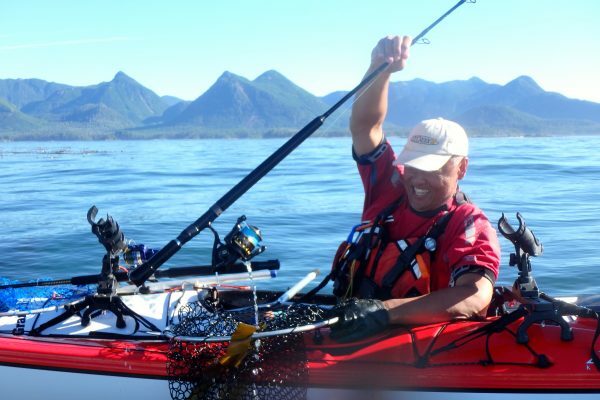 Over two days of hands-on experience, we cover paddling and rescue techniques, safety, equipment, fishing tactics and fishing techniques. 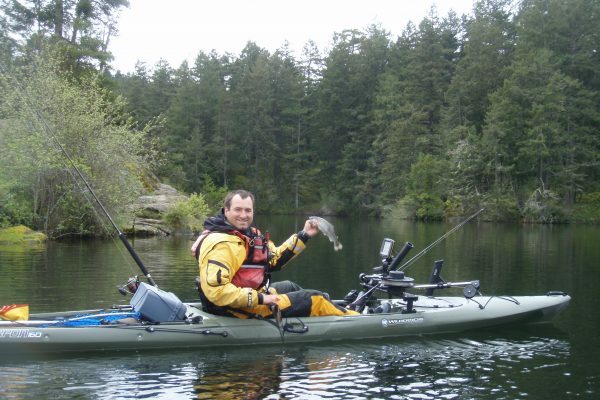 You learn through experience while we target rainbow and cutthroat trout as well as bass on the beautiful little lake that is our classroom. Learn about the variables that can affect you while fishing from your kayak in protected waters. 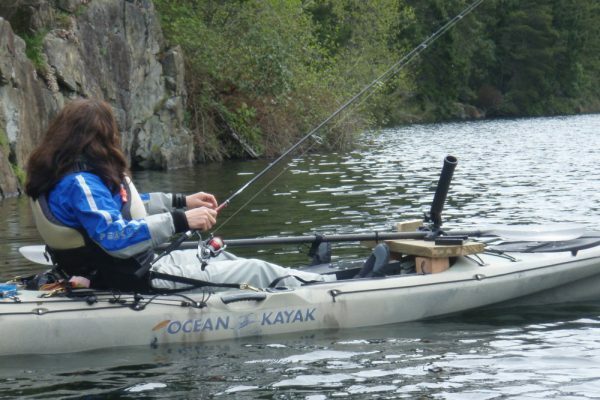 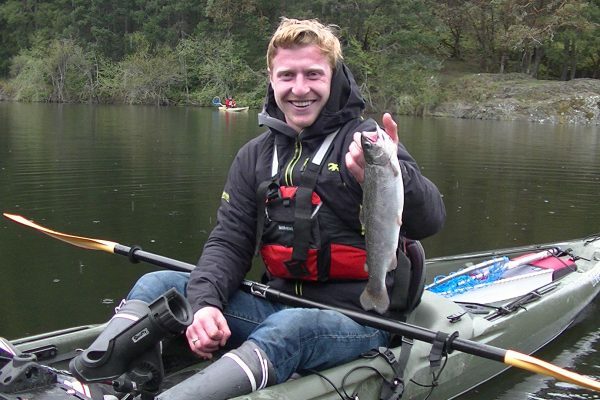 Gain knowledge in mere days that would normally take years of kayak fishing experience to gain. 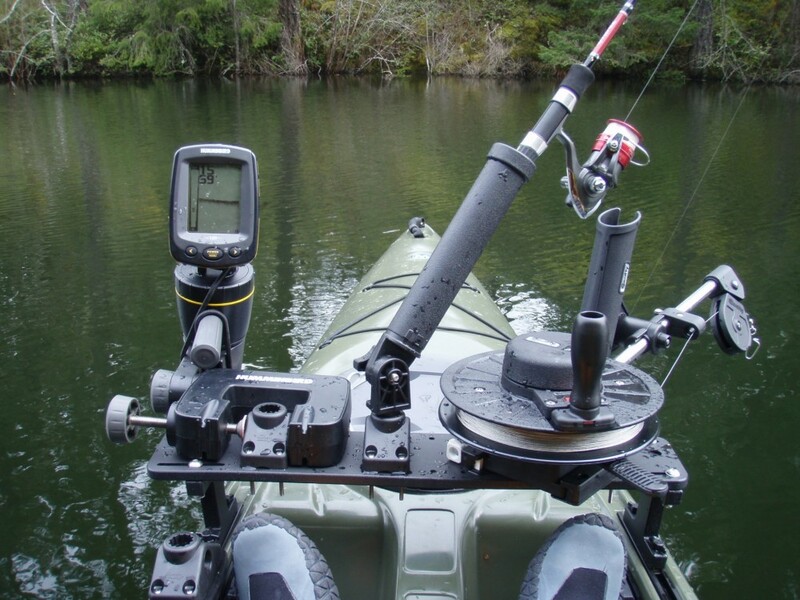 Increase your safety, fishing productivity and save time, money and frustration. 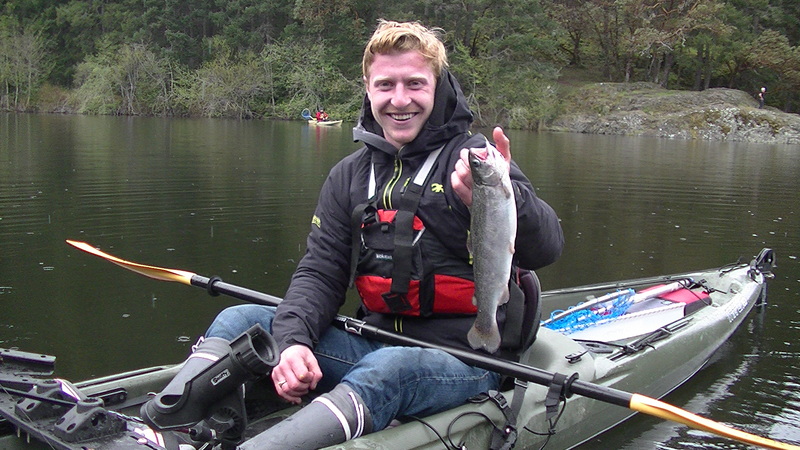 Beginner paddler / Beginner angler. 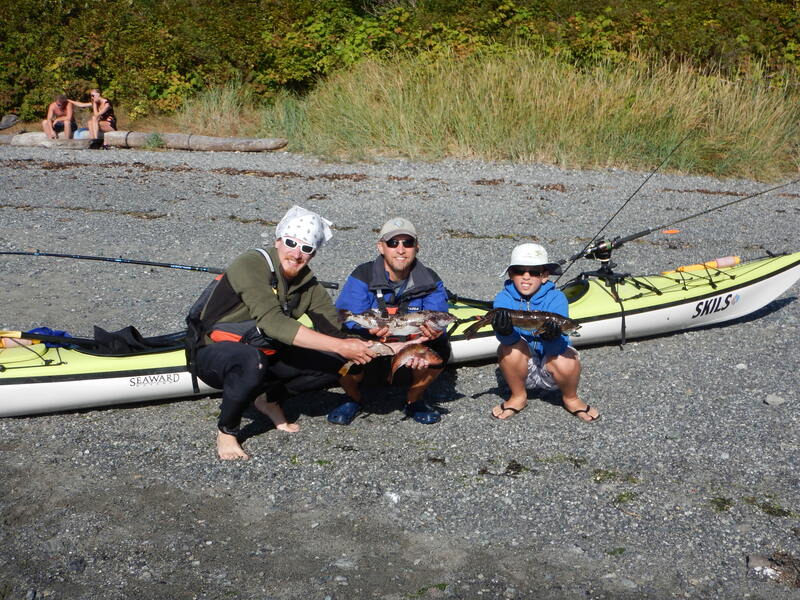 A deposit is required at the time of registration in order to secure your spot. 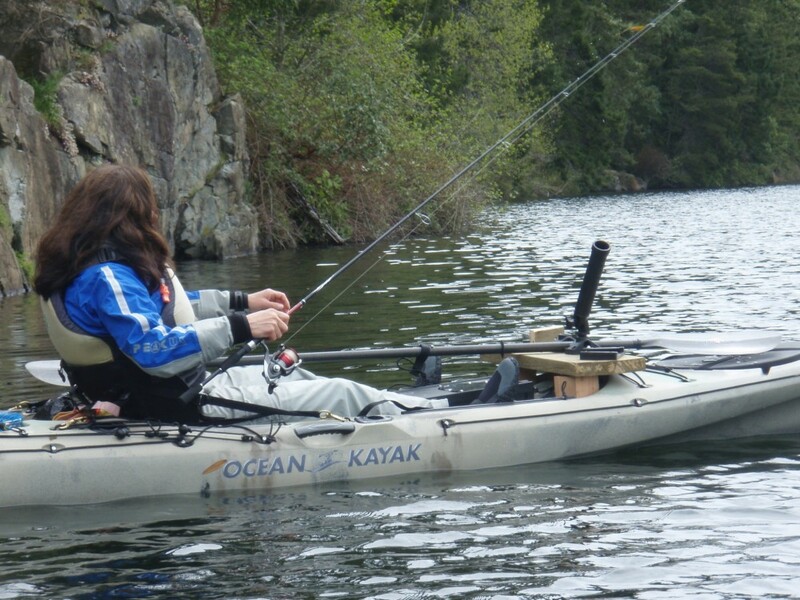 The balance of your payment is due at least 30 days before the start of the program. 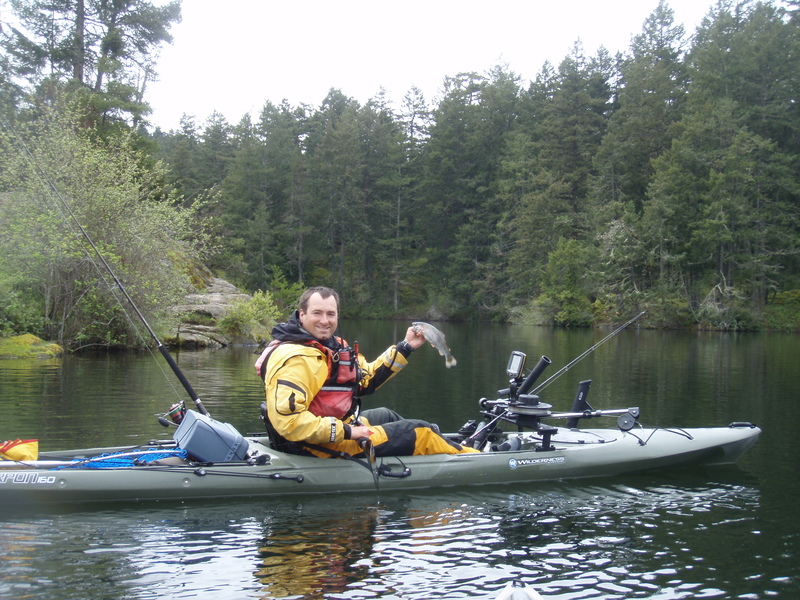 Payment can be made by Interac E-Transfer, cheque, money order, or cash. 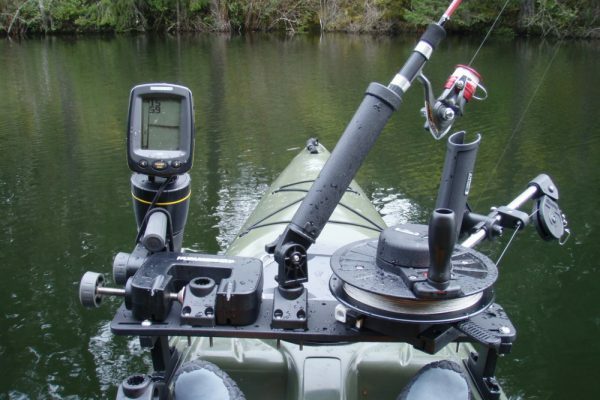 You can also pay the full amount with a credit card using the online registration system on our website.